Our country is the center of many festivals from different cultures and religion in different seasons. Though the festivals are somewhat dissimilar, there is one thing that seems to be common and that is Indian women prefer to adorn themselves with beautiful sarees during festivals. Indian festival sarees are created by keeping the occasion and the event in mind. The colour, motifs and the designs are created on the saree to match the occasion perfectly. They are the expressions of the event and festivity. Among the many festivals celebrated in India, Deepavali is one of the important and happiest festivals celebrated in India. It is celebrated in different ways in various parts of the country. Usually, prayers are offered and friends are invited to celebrate the Deepavali night over food and sweets. On Deepavali night, fireworks light up the neighborhood skies. In Tamilnadu, people celebrate Deepavali with sparklers, light, firecrackers and sweets signifying the defeat of Narakashura by Lord Krishna. 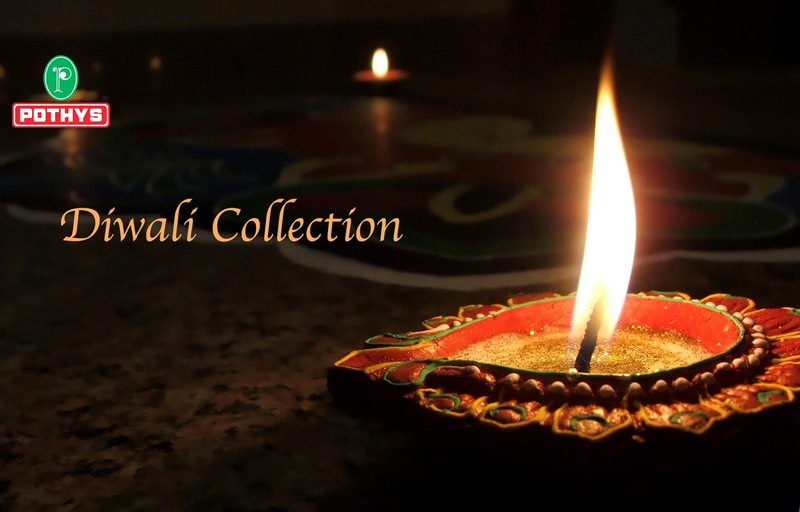 Deepavali remains as one of the biggest shopping seasons in India. People buy new clothes for themselves and their families. Girls and women go shopping for Jewellery, sarees and electronic items for home during this season. Women adorn themselves with traditional silk sarees and ethnic wear on the day. Pothys is presenting a new and exceptional gathering of silk sarees for Deepavali that will make you look astounding. Drape yourself in these mesmerizing Silk Deepavali collections from Pothys to add a dash of sparkle to your Deepavali!